Lin Biao (Lin Piao) was born in Hupeh province, China, to a factory owner whose business was ruined by astronomical taxes. He was nonetheless able to attend a preparatory school, join the Kuomintang, and graduate from Whampoa Military Academy. He fought in the Northern Expedition but seized command of his regiment and led it in the Communist uprising at Nanchang in 1927. When the uprising collapsed, he joined Chu Teh and Mao Tse-tung and led a corps in the Kiangsi breakout and subsequent Long March. On arriving at Yenan, he was made commander of 115 Division. His troops successfully ambushed a Japanese column at Pingxing Pass in September 1937, a modest success that was much inflated for its propaganda value, and his troops also participated in the Hundreds Regiment Offensive in August-November 1940. Like the other Communist division commanders, Lin spent the Pacific War recruiting forces and infiltrating areas behind Japanese lines, interrupted by a posting in 1941-1942 as envoy to Stalin. By 1945 his division had grown to nearly the size of a field army. 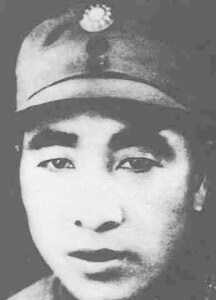 Lin played a major role in the Chinese Civil War. His initial foray into Manchuria was badly defeated, but after regrouping he attacked south with half a million troops, isolating Kuomintang garrisons in the larger cities. Following the civil war, Lin led his army in Korea against the United Nations. He subsequently became one of the ten marshals of the People's Liberation Army, purged Russian influences, and supported the Cultural Revolution. Second in power to Mao in 1969, he subsequently came under suspicion and was killed in an air crash while attempting to flee to Mongolia. Some of the bodies on the wrecked aircraft were found to be riddled with bullets.